The secret that doctors hate revealing!! One simple, easy trick revealed! Warning: Reading this column will change your life. I reveal secrets which other doctors won’t tell you. They will hate me for it, because you need never pay for their services again. I have recently given up doctoring, with its snail-paced, uncertain outcomes, and instead dedicated my life to writing popup facebook ads. Professional shackles removed, I can finally bring you proven cures which have been known since ancient times, but kept secure by the Doctors’ Code. Ironically, the proof was there all along, if only you had clicked on the close-up photo of the exotic fruit seeds. It took me until age forty-five to allow my curiosity to overcome my bland scepticism, but since using their method I have become only thirty-two. Eating nothing but these sensually-juicy plump seeds for a year not only made me lose 100.99% of my body fat; it smoothed my skin to the point where women in swimsuits continually ask me if I am Justin Bieber. I then reveal to them how one weird tip made my belly smaller for under five dollars. I bought some plain-label cling wrap—not the expensive brand your doctor tries to sell you—and wrapped the first layer around my belly. I kept wrapping until I had used every last bit. And then wrapped some more! For just five dollars I got 400 meters of wrap clinging to everything except my eyes and one nostril. That’s it. That’s the surprising, weird little tip for loosing weight!! Notice how, like all internet ads, I deliberately misspelt ‘losing’ and you are already imagining loose clothing? Like you, I was sceptical that an all-gluten diet could enhance virility until I clicked on the young man’s six-pack. I didn’t even know what gluten looked like until I imported my first barrel, but it does so much more than just cure coeliac disease. Liquid gluten fuelled the pyramid-builders of Ancient Egypt—some say it was the very glue that held the project together. Over the millennia the secret ingredient was lost and now they are blaming Peter Greste. For even more shocking miracle ingredients and testimonials the authorities didn’t want you to hear, simply click on my ads as they pop up to the right of your screen. But be warned: for every five dollars you spend on this stuff, one doctor will go broke. 3 Responses to The secret that doctors hate revealing!! You know, looking at you two side by side I actually do see a slight resemblance! 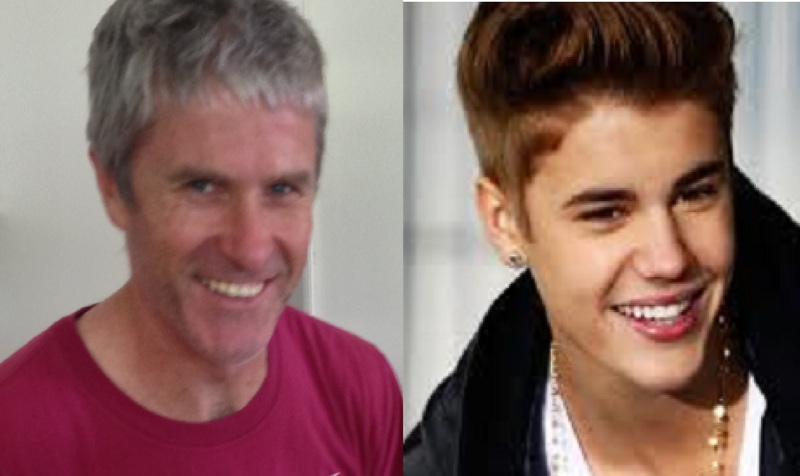 Beiber reckons he’s getting sick of my fans confusing the two of us, Michelle. He’s threatening to mark his territory via a complete head shave and facial tattoo. Better than some other ways of marking territory Justin!